In any science fiction movie or series, the setting almost always becomes a character in and of itself. Whether unfolding on a distant alien world, a claustrophobic starship, or an alternative version of our own place and time, science fiction needs to provide a world that feels unique and real, so that whatever story is unfolding feels believable and engaging. For video games, this is all the more true. With games, you’re not just watching a story unfold on the screen, you’re immersed in it, experiencing it, and the best games make you feel that you truly have been transported into a different world. The catch-22 of that reality, however, is that we often miss out on the details of those elaborate game worlds because we’re too busy running, gunning, or driving through it, full speed ahead. YouTuber ultrabrilliant’s “Other Places” series of videos aims to rectify that, providing beautiful tours of some of the most unforgettable game worlds out there, accompanied by thematically appropriate music from each game’s composers. What’s better than cheap games? Games that donate your payment to charities such as the Human Rights Campaign and the American Cancer Society! That’s the concept behind the Humble Bundle, which serves up a selection of games, lets you decide how much you want to pay for them, and then redirects a portion of your payment to charity. And this time the money that goes to charity is bypassing the pocketbooks of Electronic Arts and Origin, a bullet point sure to put an evil glint in the eye of many an EA hater. The new Humble Games Bundle has several noteworthy science fiction titles in the bunch this time around. You’ll get the excellent original Dead Space, the less-excellent Dead Space 3, the underrated but frustrating as hell first-person platformer Mirror’s Edge, and Crysis 2: Maximum Edition, which I don’t have anything pithy to say about because I haven’t played it. If you’ve never given Dead Space a chance, it’s worth throwing down some cash in and of itself, all the more so since some of said cash will go to one of several worthwhile charities. It’s just a matter of time until we get the first genuinely great videogame movie adaptation. Granted, that may be a while yet; it took several decades and many failed attempts before we started getting awesome comic-book adaptations. There are a few I’m keeping my fingers crossed for, however: BioShock, Mass Effect, the Assassin’s Creed flick starring Michael Fassbender that’s slated for a 2014 release. Another game franchise that has the potential to do well is EA’S Dead Space, but it’s been ages since we heard anything on that front. Fear not, DS fans: game publisher Electronic Arts says the Dead Space is still in the works, and actually provided a few concrete details this past week at Comic-Con. EA reps took to the stage this past Thursday at Comic-Con to assure fans that Dead Space was still alive and twitching. The current iteration of the script was penned by Europa Report writer Phillip Gelatt, and given the positive reviews that film has been receiving, that can only be a good thing. It’s now going to be handed off to another screenwriter for more work…that’s not necessarily a good thing. When done right, video games can be a perfect delivery system for terror. All the ways movies have learned to scare us over the years work just as well in the form of a game — frightening sounds, quick flashes of movement, jump scares. But a game can take things to the next level because of the medium’s inherently interactive nature. When a horror game is firing on all cylinders, you aren’t just watching scary things happen to somebody on the screen…you feel as if you’re actually there, in the middle of it. The original Dead Space is one of the most effective horror games of all time, and it turns out it counts one legendary director amongst its fans: John Carpenter. 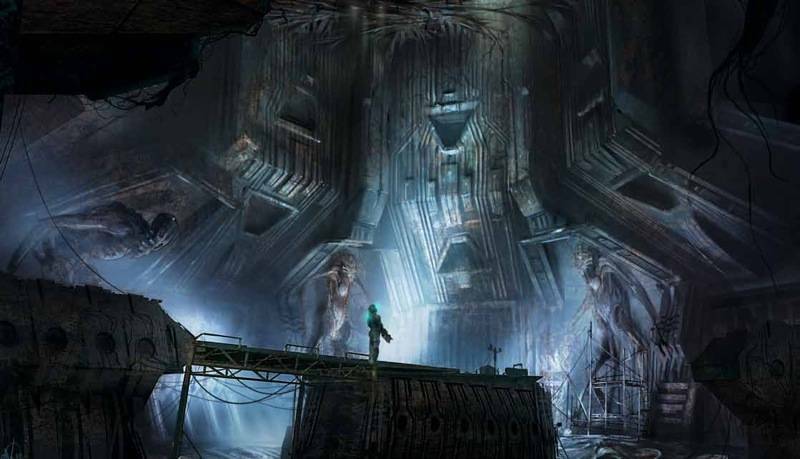 I maintain that Dead Space would just make a great movie because you have these people coming onto an abandoned, shut-down space ship and they have to start it up and something’s on board. It’s just great stuff. I would love to make Dead Space [into a film], I’ll tell you that right now. That one is ready-made. The original Dead Space is one of my favorite games of the current generation. The second one ramped up the action while still preserving the scares and tense atmosphere, for the most part anyway. Dead Space 3 is arriving on shelves tomorrow, and many fans have their fingers crossed that the new sequel doesn’t shift the focus even more to the action, at the expense of the scares. I realize you can only have hero Isaac Clarke crawling through darkened corridors so many times before some variety is needed, but I hope the developers haven’t lost the sense of what made the first one so much fun. 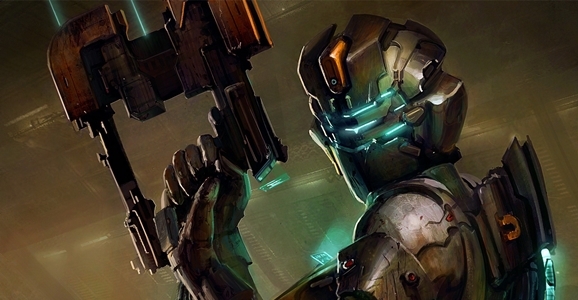 Among other things, Dead Space 3 will be taking Isaac Clarke groundside. The third game finds beleaguered engineer and part-time hero Clarke exploring the frozen landscape of a planet called Tau Volantis, as he tries to find a way to stop the Necromorph threat once and for all. Unlike in previous games, Clarke will have some backup along the way. DS3 will allow for co-op play throughout the campaign, allowing a second player to drop in as Sergeant John Carver. It’s unclear if Dead Space 3 will be the final game in the series, but at the very least we probably won’t see the next installment until after the next-gen consoles launch (possibly late this year). 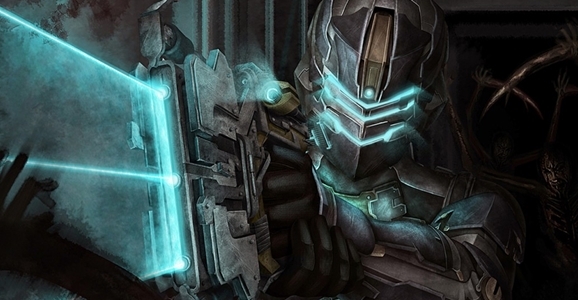 Dead Space 3 will be available for Xbox 360, PlayStation 3, and Microsoft Windows.